Get wearewhoweare and itiswhatitis now! Only available directly from the band. ORDER HERE. A unique chance to own instrumental versions of the tracks of the 'wearewhoweare' album along with some demos. ORDER HERE. The New Album from Niall Mathewson. More details HERE. Full range of Exclusive Canvas Wall Art available NOW ! 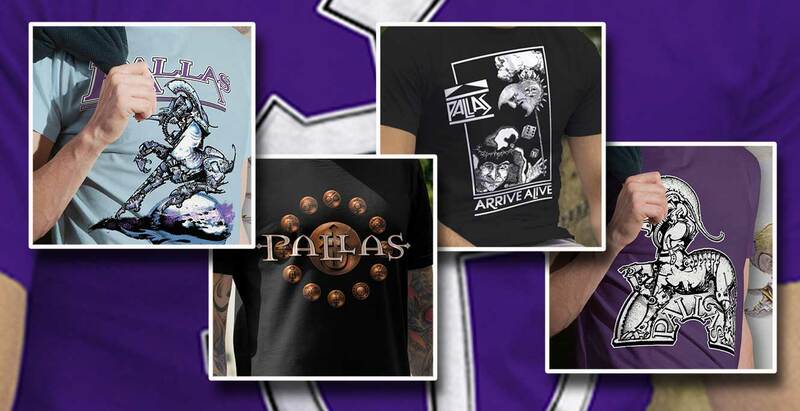 Full range of Exclusive freshly printed Retro T Shirts available NOW ! 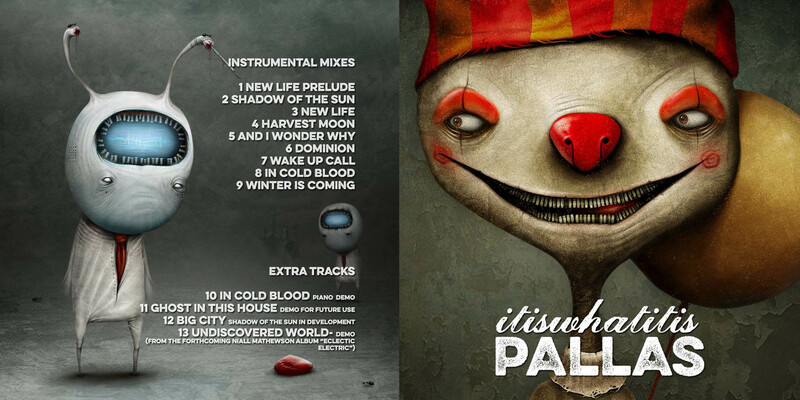 wearewhoweare and itiswhatitis available NOW! 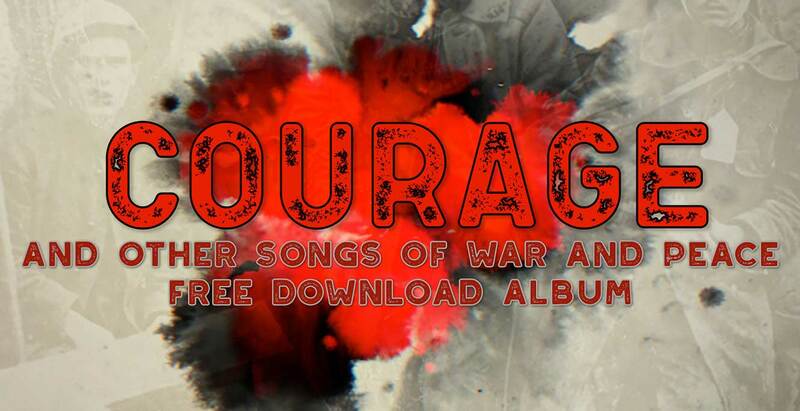 Exclusive new free download album featuring 2 new tracks from Graeme Murray! NOW AVAILABLE AT THIS LINK ! 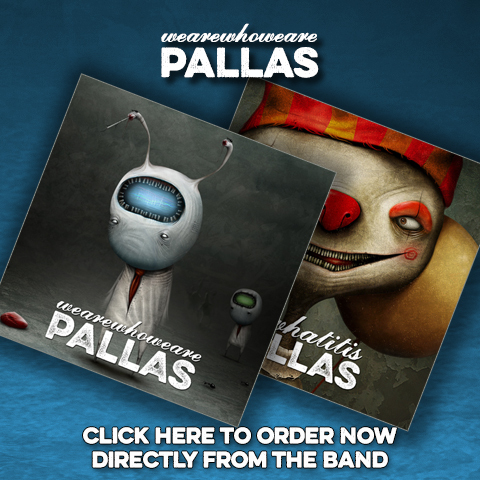 ALL THE PALLAS T SHIRTS FROM ARRIVE ALIVE TO WEAREWHOWEARE PLUS MORE! NOW AVAILABLE AT THIS LINK! "wearewhoweare" Limited Edition Digibook Order NOW! 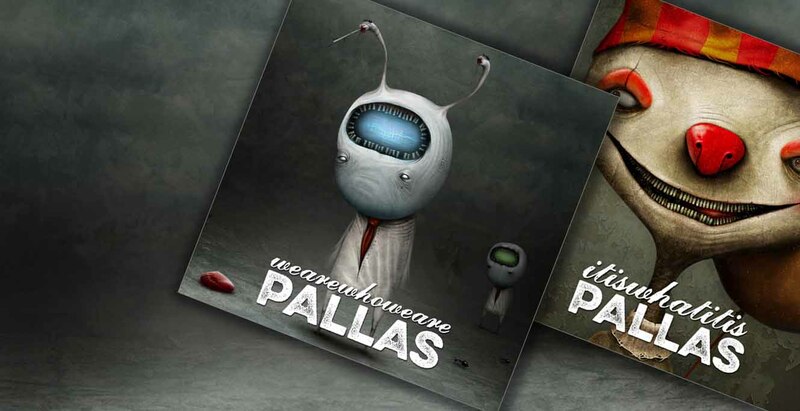 Pallas are proud to announce that the special edition digibook version of the new album 'wearewhoweare' has now been released - all thanks to the recently completed a crowdfunding campaign through Indiegogo. As a result of this unique funding wearewhoweare will currently be exclusively available only directly from the band through our direct supply partner Bandcamp. 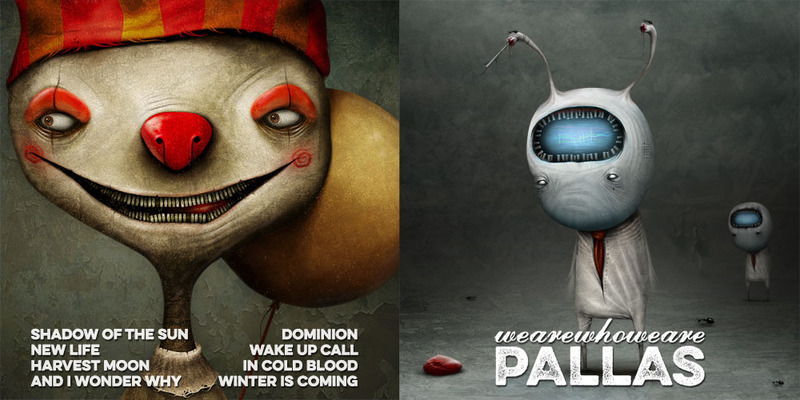 This album is available as a lavishly illustrated 40 page (including cover) digibook featuring artwork from the Russian artist Anton Semenov, or a value pack cd, both including the download version which will be available on the day of release, or just as a download. The Extensive details about the tracks on the album can be found under the wearewhoweare menu above, or by using this link, complete with video snippets and studio reports to document the albums progress. 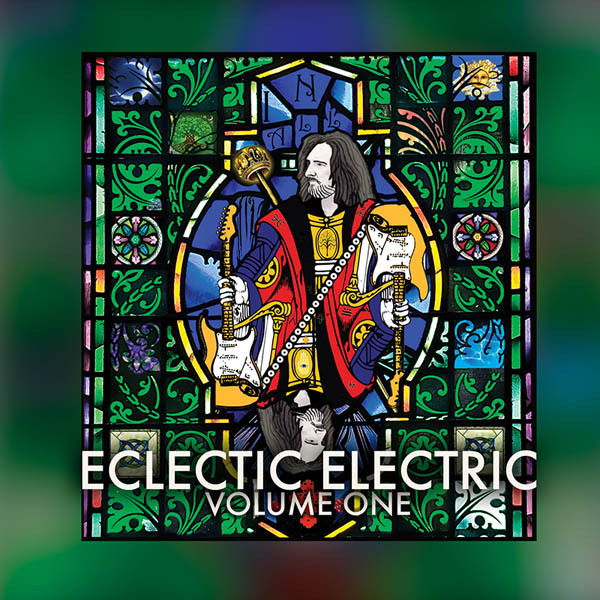 A unique chance to own instrumental versions of the tracks of the 'wearewhoweare' album along with some demos, including an as yet to be completed track, Ghost In This House, and an advance teaser, Undiscovered World, from the forthcoming Niall Mathewson album 'Eclectic Electric'! Available now as a value pack cd in card cover with free download included or just as a download. The band recorded the rehearsals for the pre-christmas gigs at The Mill Recording Studios in Banchory and it was mixed down by Niall Matthewson in time to be available as a cd at the gigs. The set includes some old tracks not played for some years and two brand new tracks from the forthcoming album 'wearewhoweare' appearing here with their working titles which may change over the next few months! The download also includes the wearewhoweare trailer video and audio, artwork and artwork for each of the gig posters ! We have recently uncovered the rough mixes of The Sentinel which the band took away with them from the Eddy Offord's studio in Atlanta, which gives another insight into what the LP could have been had fate not intervened. We have also re-worked a previously only available as medium quality mp3 exclusive release "The Sentinel Demos" and made it available at much better quality through our new bandcamp facility to give you some idea of what a double album of The Sentinel may have been like. 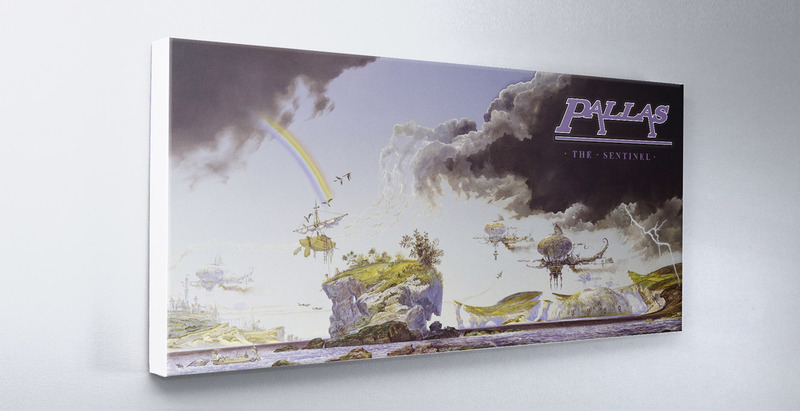 This extensive archive of rehearsal and live recordings includes the tracks that would have been on the album had it been a double and never found their way onto B sides and the later CD are: A New Age Dawns, The Scrolls, The Cell, Flashpoint 2, and The Calm Before the Storm which explore the storyline in much more detail than the truncated eventual LP did.